Plan an early morning climbing session into your workout. Starting now, Edgeworks will open it's doors at 6:00 a.m. every First Friday and Third Thursday of each month. 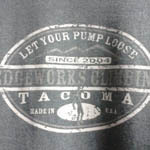 The gym will open early to Edgeworks members and non-members alike. It's a great chance to show your co-worker or buddy why you spend so many hours pulling plastic. We'll start the morning right with an early morning 101: Intro to Climbing Class, for anyone interested in learning how to belay. We'll see you bright and early! 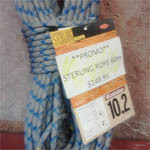 Third Thursday March 15 - 6:00 a.m.
First Friday April 6 - 6:00 a.m.
Third Thursday April 19 - 6:00 a.m.
Be sure to grab this 10.2 midsized all purpose rope for just $149.95. That's 33% OFF! Edgeworks is currently looking for a well-qualified candidate to fill the Marketing Manager position. We are looking for a motivated, self-starting individuals who can work independently and as part of a team. The successful candidate for Marketing Manager will be responsible for marketing the gym through its various media outlets and marketing tools. The Marketing Manager will be expected to create marketing material, create/update websites, as well as manage customer and event communications through internal gym marketing, internet, email newsletters and direct mail. • Create and Implement Marketing and Social Media Campaigns. • Create (and Coordinate the Creation of) Marketing/Advertising Material. • Update/Create Company Website with Monthly Updates and New Material. • Manage/Create Email Newsletter and Direct Mail Marketing. • 2 Years Marketing Experience. • Marketing/Advertising and Web Design Experience; Adobe CS (required). • Climbing Industry Experience (preferred but not required). 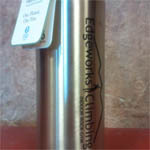 Be sure to check out the new EdgeworksClimbing.com. We've updated the site with a new look and some cool new features like our blog. The Edge Blog is a collection of stories, articles, and tips for the Puget Sound climbing community. When someone asks how to up their climbing game, we almost always reply, "climb more, climb harder." It might sound horribly trite, but it's true. Here's the reason we're quick to suggust more pull time. Climbing 100 laps on routes at your current redpoint grade is great... for getting good at your current grade. Progressing further requires more. If you want to get stronger you have to try routes that are harder than your current best. Remember that even as you're falling off things you're learning valuable lessons about what does and doesn't work on harder routes. Sasha D said the change responsible for the explosion in her climbing ability that allowed her to redpoint 14d was trying routes she used to think of as out of her league. The ProRock program is just $99 a month and includes your membership! Learn more here.